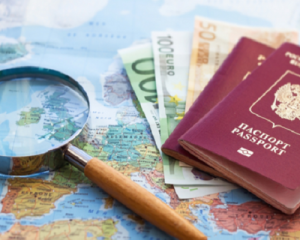 The advantages of holding a second citizenship and passport are significant if you want to mitigate risks and shield your wealth. You can establish businesses, open bank accounts and expand investments internationally under your second citizenship. A second passport helps you to achieve safety if your home country is unstable and allows you to move freely around the globe. Having an alternative citizenship protects the present and future of your family. For more than a decade CACitizenship.com has provided thousands of clients with a level of freedom (in terms of both economy and humanity) that had previously been denied them. Over the ensuing years our hardworking core staff has been implemented by a vast network of lawyers, partnering agents and banks that span the globe. 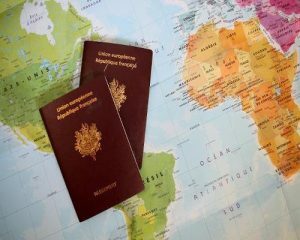 A second passport is an effective way to diversify your assets through buying a citizenship in another country. A Second Citizenship by Investment Passport Programs can essentially give you a second life and freedom in another country, most importantly at troubled times. If you are an entrepreneur or investor from a controlling country who feels that a change of citizenship would greatly aid your freedom of movement and therefore boost your business, citizenship by investment is the best option to take. Just like luxury yachts and personal jets, the modern, high-flying businessperson will likely have a very expensive second passport in their briefcase, one that can take them to places their original underpowered passport couldn’t. Residency by investment has allowed hundreds of thousands of individuals from all around the globe the opportunity to prosper in a new country, and gain life-changing second citizenship and a freedom-granting powerful new passport. 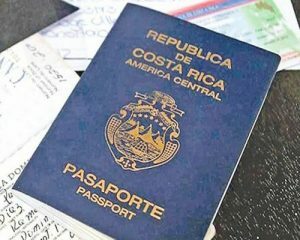 Citizenship by Investment markets of Europe and the Caribbean are well established, but there’s a “New Kid On The Block”, with CaCitizesnhip.com now offering CBI programs with powerful passports for Central American nations. Contact us to discuss your requirements with one of our expert citizenship planners. Make Central America your second home. > Visa Free Travel to 119 Countries, Including the E.U. El Salvador has long been a desirable location for foreign investors searching for second citizenship and a powerful passport. It’s passport ranks in the world’s Top-40. It’s second citizenship program is one of the most economical in today’s growing market. Learn about second passports and citizenship by investment planning options and coverage with CACitizenship.com’s articles, guides and tools. 87% of questions answered within 30 minutes or less. There is no simple answer to this question. Instead, ask yourself: “Why do I need a second passport?” If the answer is to improve the quality of you and your family’s life, you need to base your choice on the comparative safety of a country or continent, what languages are spoken there, what its standards of health and education are, and how strong its economy is. Very affordable. A passport for the tax haven of Guatemala can be obtained for just $75,000. Citizenship to Greece, with all of the economic and civil benefits an E.U. passport brings can be purchased for only $90,000. For example, the fastest second citizenship programs featured on CACitizenship.com are for countries such as Greece, Cyprus, Antigua and Barbuda, and Guatemala, with an average of three months from inception to receipt of passport. 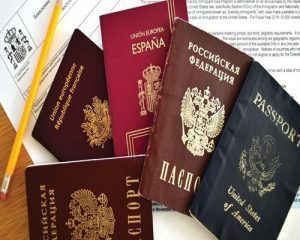 CACitizenship.com also offers a Fast-Track service for Russian citizenship and passport to clients in distress.